So you're expecting? Congratulations! That bundle of joy on the way will make your life more rewarding . . . and expensive. But don't worry. Here are five smart savings tips for new parents so you can break out the cigars without breaking the bank. Now that you have a child on the way, everyone you know will want to give you baby gifts. You may have multiple showers thrown for you and may be getting a lot of the same things over and over: there are only so many toys a baby can chew on! Instead, pick a store to register for your baby shower and let loved ones know what you need upfront. If you're still overwhelmed with onesies, rather than cramming them in your closet, try selling them online or, with a gift receipt, returning or exchanging them for something you really need. That way your friends and family get to "gift" you, and you get one more item to check off your list. For most new parents, three things will eat up their savings in the first few months: diapers, diapers, and diapers. A baby goes through nearly a dozen diapers a day, and they'll outgrow each size quickly. So be eagle-eyed for sales and coupons, and when you find a good price, stock up! You can also try reusable cloth diapers, but while they may save you money (if you wash them yourself), you may spend more time doing laundry. 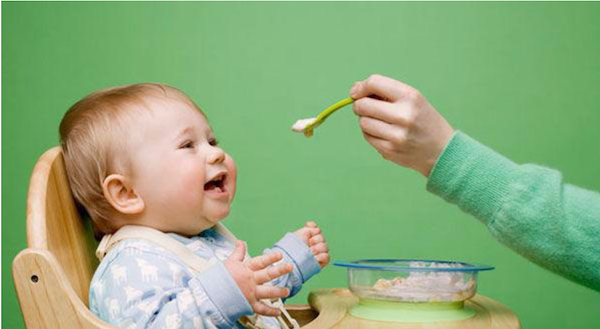 Once a baby is ready for solid food, around six months in, their tastes can be hard to predict. Those jars of baby food can add up, and if your little one develops an aversion (or worse, an allergy), they're suddenly as useful as sunglasses on a bat. Instead, dust off that blender and make your own baby meals. You'll find dozens of recipes online that are affordable, healthy and delicious to little eaters. You can make as much or as little as your baby needs, change the recipe to suit their tastes and, best of all, you'll know exactly what's in it. One of the most expensive parts of parenting in the early years is day care. Depending on where you live and the type of care you're looking for, the cost of keeping a single child in day care can be as high as $15,000 a year, according to a 2012 report by Child Care Aware of America. The solution? See if your workplace offers a subsidy or, better yet, day care services on the premises. If not, try to find a day care with daily rates and ask your in-laws to lend a hand. Many grandparents will jump at the chance to spend more time with their new grandchild, and if you can arrange for a family member to watch the baby at home one or two days a week, you could save up to 40 percent of the cost. No small change and granny and gramps get more cheek-pinching time. Now that there's a dependent in your life, your calculations will change: from how much disposable income you'll have to how much you'll need in the future. That's why it's important to budget carefully and prepare for the unexpected. If you haven't thought about your life insurance in a while, now is a good time to reconsider it. Should something happen to you or your spouse, do you have the right coverage for your new family? How much coverage do you need, and what kind? You can get help with these and other life insurance policy questions here. As every parent soon learns, it's never too early to plan ahead. It's never too soon to start saving for the future. Read our 5 Tips for Starting Your Kid's College Fund.